At St. Dominic Savio, we strive to accomplish this by focusing on student-led ministry, building a culture of Christian Service, living a vibrant sacramental life and through a rigorous but inviting theology curriculum. 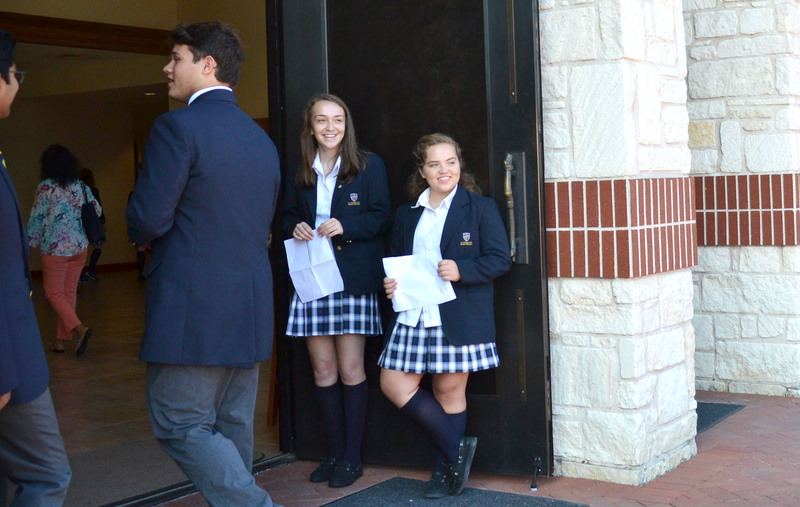 The Formation and Ministry office at St. Dominic Savio (FAM) coordinates faith formation for our school community, including students, faculty, and staff. This includes all liturgies, retreats, the Diakonia Service Program and many other faith formation programs that support our community's growth into a people ever-more reflective of the image of Christ. Rooted in the call from Pope Francis that, "all of us are called to mature in our work as evangelizers," the Faith and Ministry office is committed to offering faculty, staff and students "better training, a deepening love and a clearer witness to the Gospel." (Evangelii Gaudium, 121). In this, we are committed to cooperating with God's active presence in our lives by seeking opportunities to encounter Christ, as a community, in all we do. Our goal is to form well-rounded, visionary leaders for the Church and the world. To accomplish this, we intentionally foster students' growth in four key areas: leadership, intellectual, spiritual, and personal. We seek to develop leadership skills in the image of Christ who cares for us as our Good Shepherd. Students experience this by participating as members of the House Council, Timothy Team, athletic team captains, music section letters, etc. We seek to develop in students the knowledge and understanding needed for faithful servant leadership. Many activities help students grow in understanding by committing to their responsibilities as a student and participating in academic clubs and competitions, Academic Council, etc. We seek to develop each student's personal relationship with God which both calls and enables servant leadership. 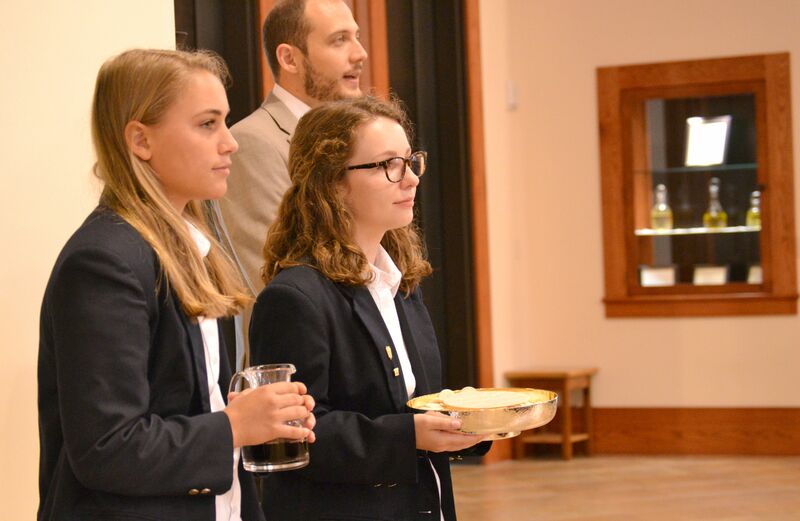 School activities related to participation in school liturgies, communal prayer, retreats, and Theology classes support this area of growth. We seek to foster growth in Christian action and life as an authentic person made in the image of God. Students experience this growth when participating in our athletics, fine arts, counseling, FAM activities, etc. The faculty and staff of St. Dominic Savio recognize that we cannot share what we do not have, and so we are committed to continuing formation in all areas in which we seek to foster student development: leadership, intellectual, spiritual, and personal. To this end, regular in-services for faculty and staff provide opportunities for attending Mass together, experiencing formation through a variety of means such as training in current pedagogies and best practices, personal assessments, and spiritual reflection. The school also offers spiritual retreats for faculty and staff twice each year. In addition, all personnel are asked to write a personal growth plan each year discussing their role as a servant leader and their goals for continued spiritual renewal. The faculty and staff are integral to the faith formation of students. Yet, those who feel called to do so will be trained and commit themselves to explicitly be available to the student body for prayer, a listening ear, and encouragement as part of the Faith Listening Program. The goal of the faith listening program is to help nurture our student's relationship with the God who loves them. Even if these are not the words that they might use, even if they express doubts or fears or misunderstandings, their desire to have a conversation is itself a beginning for their prayer. The faith listening program can be a place for our students to explore their desire for God and to encounter the desire God has for them. We do not ask Faith Listeners to see the work, or the will, of God in the lives of students. We simply want to give our students somewhere to go to talk and to be heard. This is our goal: to listen, to pray and to encourage students to grow in relationship with the God who loves them. Just like the clay in the potter's hand, so are you in my hand. "God asks everything of us, yet at the same time, he offers everything to us."